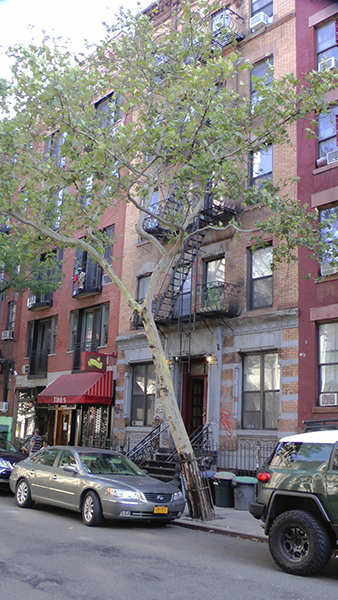 The East Village is famous for its deformed and falling-down trees. Some day in the not-so-distant future, it will crash down on everything in its path. East Villagers love their rescue trees!